KATHMANDU, Aug 26: Saurya Airlines is bringing in a new aircraft in time for Dashain. Having stopped operation due to financial issues for a month, the airline is planning to bring in a new aircraft on an investment of 1 billion rupees, informed Market Chief Mukesh Khanal. Khanal informed that the airline is planning to purchase a 70-seat Bombardier CRJ 200 aircraft. 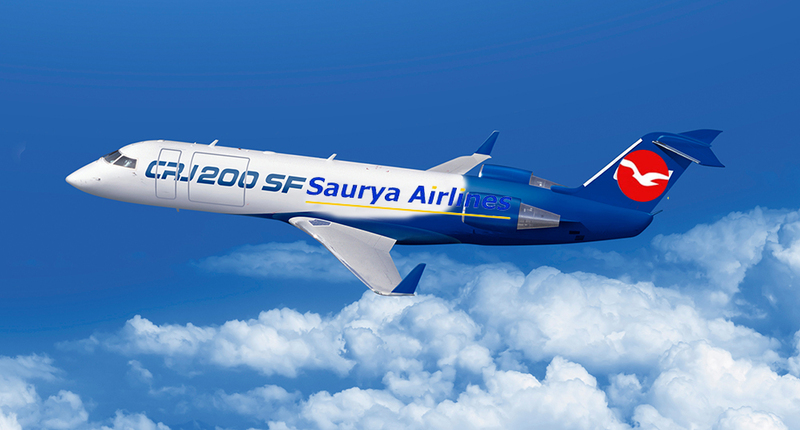 Saurya Airlines will have 3 aircraft of the same model after the purchase. It is currently conducting flights to Biratnagar, Bhairahawa, Bhadrapur, Nepalgunj, and Dhangadi. The airline was purchased by NRN Shyam Adhikari and his group for Rs. 670 million a few weeks ago.